It is finally here! Thanks to Tamir Recycling and the Jerusalem Municipality, glass recycling stations are now spotting up around Jerusalem. I spotted my first this past Sunday on HaPalmach Street in Katamon, on the corner of Nili Street, next to the Co-Op Supermarket and Anise Teva store. *Please comment on the blog post with others you have found. I am currently trying to get a proper list (#bureaucracy)😉, but in the meantime I will start to list them all at the end of the post. If you haven’t read my recent posts about Recycling in Jerusalem and talking to Amanda Lind of the Society for the Protection of Nature in Israel (SPNI), the main question I got from my readers was wanting more information on glass recycling in the city, because there were no stations around, there is a lack of information, and many people just drop their glass containers next to the plastic recycling cages. You only get a deposit back at the supermarkets for beer bottles and most wine/grape juice bottles. We really need to thank Tamir Recycling for their commitment to recycling all materials and their educational initiatives for children. They have wonderful marketing and both interactive and printout games. Most require none or limited Hebrew. This is a link to their interactive game for i-phones. Check their website here for print-out games for children and here for coloring pages. Until I get a proper list of all the stations (#bureaucracy), either from Tamir or the municipality, please do comment below with any other’s you have found. 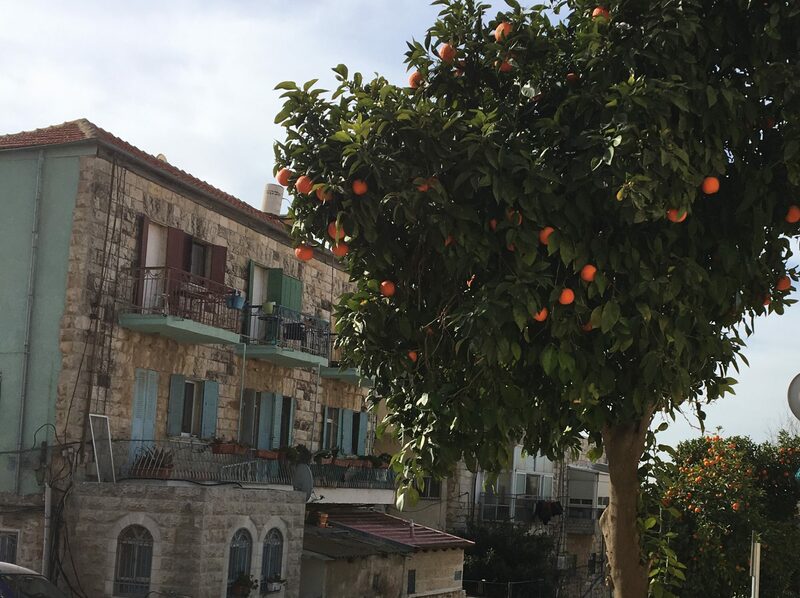 Katamon: 44 HaPalmach Street, corner of Nili. German Colony: Near the post office on Emek Refaim. Arnona: Leib Yaffee near Siegfried Mozes. Baka/Talpiyot: Derech Beit Lechem 118. Nachlaot: Rechov Agrippas, outside the Maccabi Pharm. Nachlaot: Narkis Street, right where it turns into Lod. Ramat Sharet: Ramat HaShachar Supermarket, near the Egged Terminal. Ir Ganim/Kiryat Menachem: One is at the corner of HaNurit and Dominican Republic, across from the makolet. The other is in the parking lot behind the co op shop on Rechov Mexico. Har Choma: Sha’ul Avigur near the Matnas. Finally!!! We’ve been waiting decades for this!!! It’s exciting I know😀👍♻️ Thanks for commenting. Great, thank you I will add it in! Thank you Sandy! Does it look the same as the purple bins featured here in the post? There is one in Talbiya also: Gdalyahu Alon St.
Hi, i went today to look for the two in Nachlaot, and I couldn’t find them. Is it possible that they were removed? I don’t live in Nachlaot, but I doubt they would have been removed. Especially the one on Agrepas next to the Macabi Center (you checked there?). Next time I am in the area I will check for you.